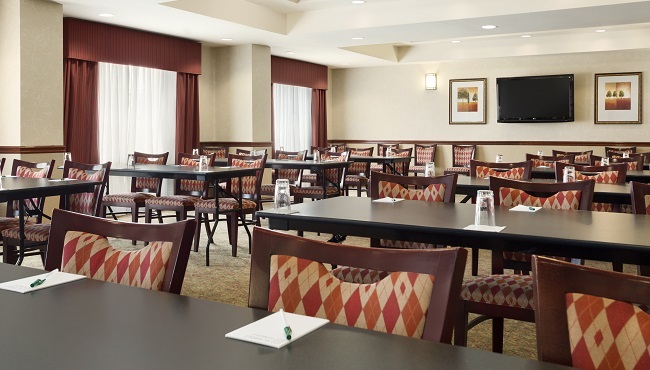 At the Country Inn & Suites, Conway, AR, you can host up to 100 guests in a flexible meeting room that’s perfect for conferences, receptions or family reunions. Our professional staff can help you with all the details, from recommending a great caterer to setting up the room and assisting with audiovisual equipment rentals. An ideal meeting point for out-of-town guests, our hotel also offers spacious rooms, free Wi-Fi, complimentary on-site parking and access to the business center. In town for an academic conference? We are less than three miles from three colleges and universities.